The UK’s most famous shopping street never fails to deliver on their Christmas lights and this year is no exception. 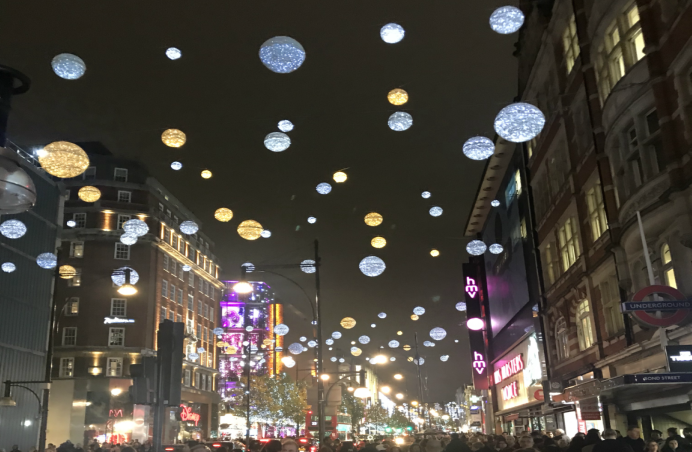 With sparkling gold and silver snowballs descending from the skies above, you will feel like you’re in a winter wonderland of your own as you shop until you drop! We found this beautiful light display on our festive adventure through the capital and just had to share. 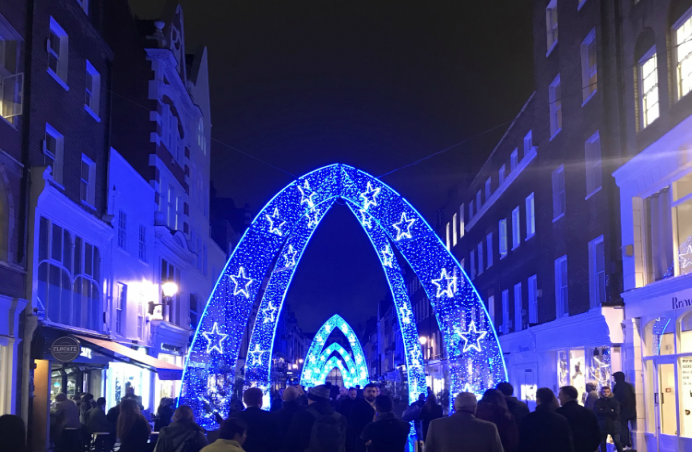 Walking through the archway of starry lights is a real treat and from afar, give the street a real magical Christmas touch. 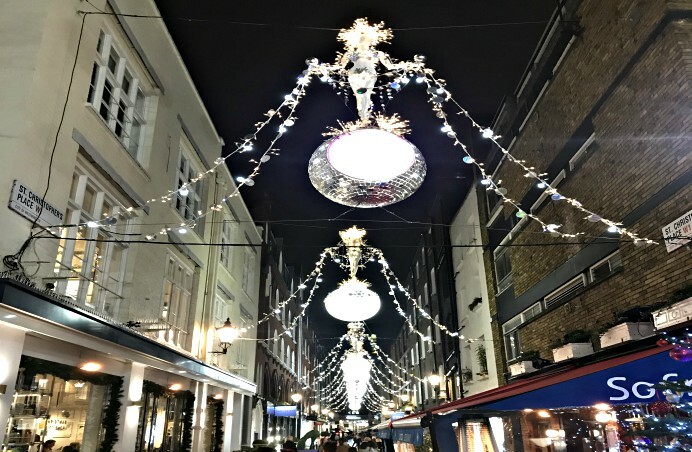 When you stop off for a bite to eat on this thriving street of St Christopher’s Place, make sure to look up and take in the classic Christmas lights. As beautiful as they are delicate, they give off a real sparkle as you sit and tuck into something scrumptious. 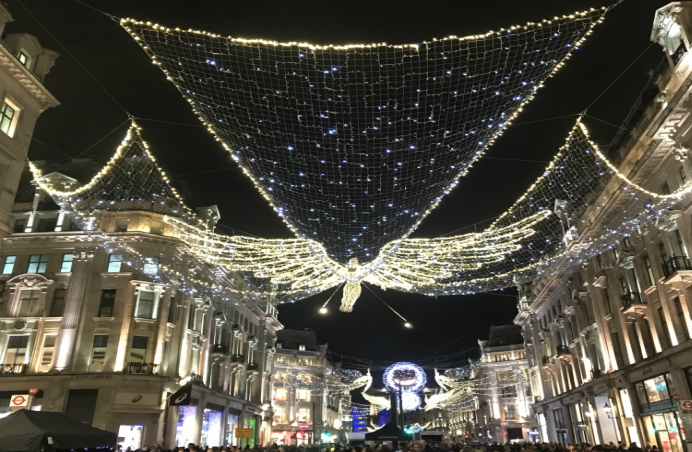 Nothing quite spells Christmas like a glorious golden angel and Regent Street really hits the mark this year. Like a blanket of lights above you, you will walk through a spectacular array of lights all the way along the street as you indulge in the many designer shops and boutiques. 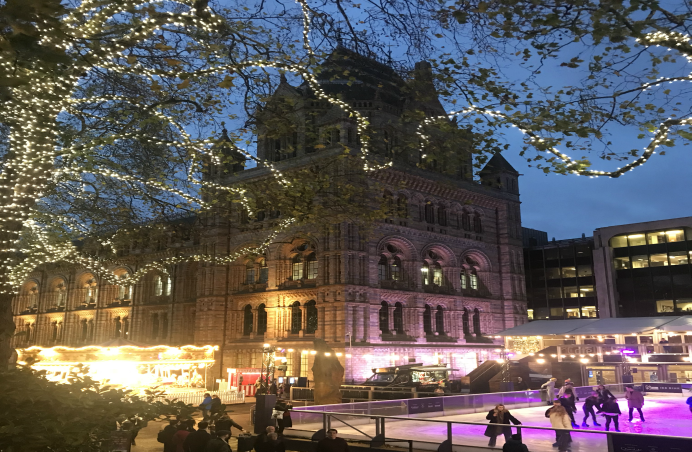 As one of the most iconic buildings in London, the Natural History Museum is illuminated with classic contemporary Christmas lights, accompanied by their glistening outdoor ice rink. Take a trip to the museum, glide across the ice and show off your moves and end with a cup of creamy hot chocolate in the cosy cafe! 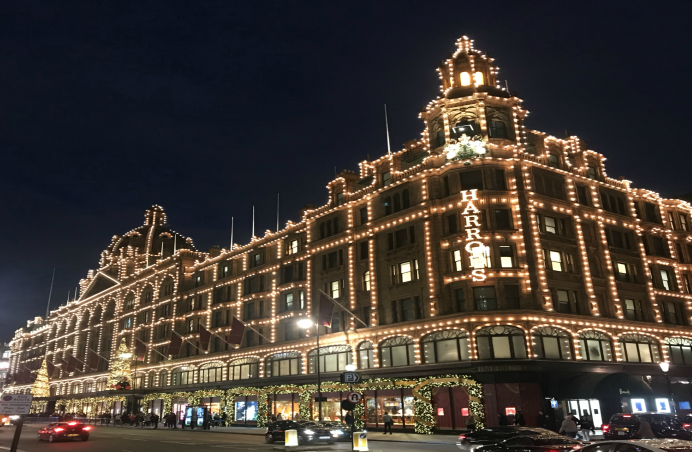 As one of the most famous department stores in the world, Harrods just had to feature on our Christmas lights list. Illuminated in thousands of speckles of gold and with the shop windows dazzling with both must-have Christmas gifts and sparkling lights, it’s an absolute must see. We couldn’t resist adding this beauty at number 8. 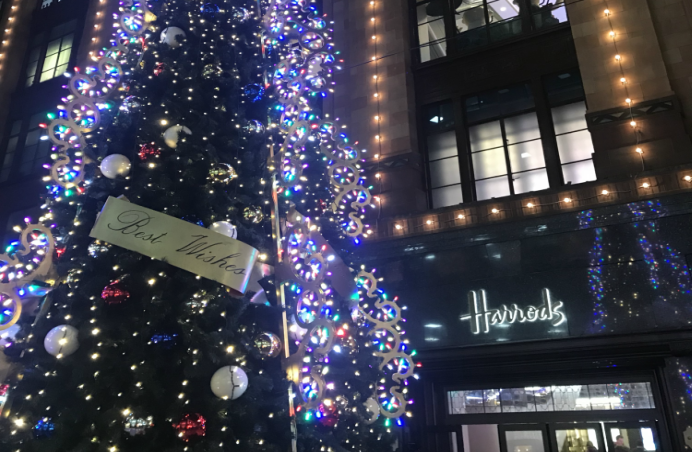 The 2017 Harrods Christmas tree had us all open-mouthed and taking pictures as it dazzled away in the dark winter evening. 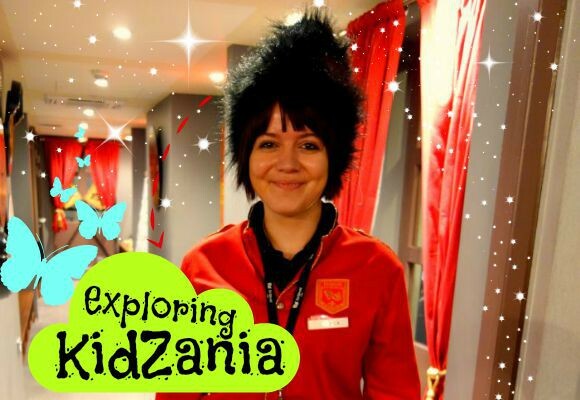 With reds, blues and silver colours brightening up the main shop entrance, we were even enticed to take a little trip in! This glittering array of Christmas lights is an absolute gem and that’s why Christmas at Kew Gardens spells the official start of Christmas for many. 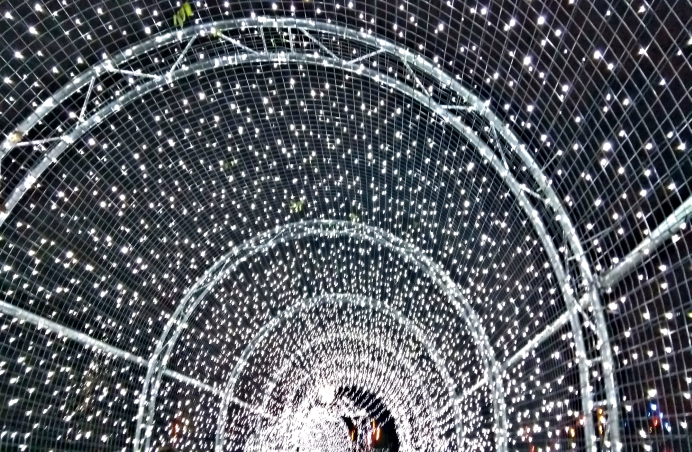 Walk through an entire tunnel of silver fairy lights before you reach a burning hot open fire where you can roast a delicious marshmellow (or three). 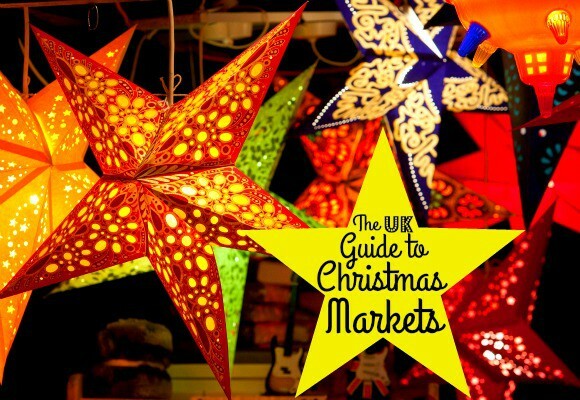 With Christmas songs played throughout, you will be in full-on festive cheer from the get-go. 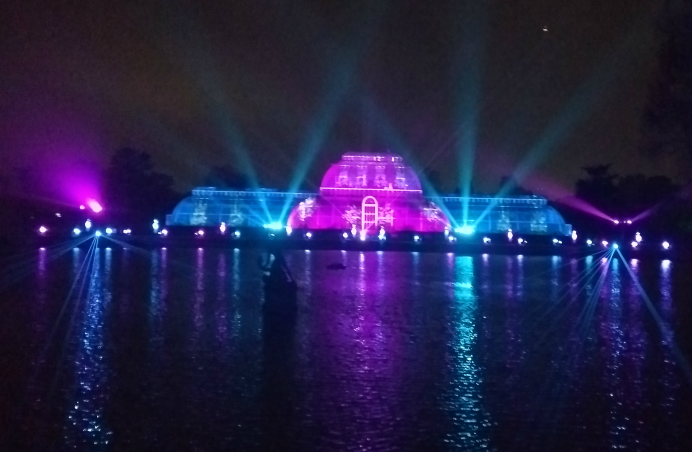 Once you get to the end of your Kew Gardens Christmas adventure, you’re met with this spectacular display. We don’t want to spoil it for you but it features Santa on a sleigh, all the Christmas classics you could hope for and a whole load of glitzy lights! We absolutely loved it. 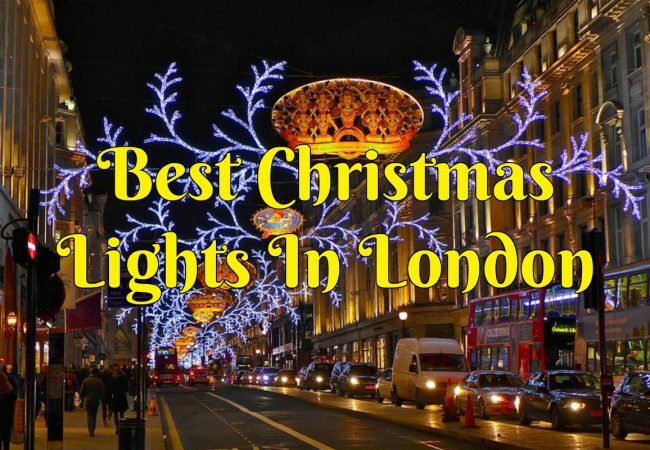 So there you have it – the top 10 Christmas lights displays in London this year. If you want to experience Christmas lights for yourself, why not treat yourself and a loved one to our Christmas lights bike tour? 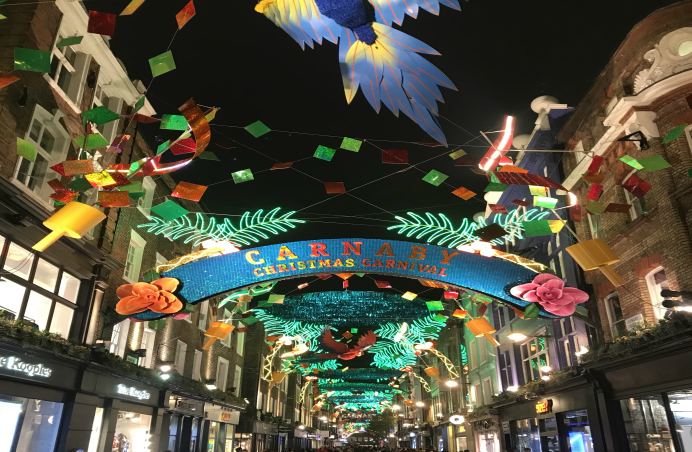 Taking you through Covent Garden, Carnaby Street and Piccadilly and showcasing all the lights you can’t see by bus, you will feel like the 25th December has come early! If not, check out our full festive range here – you won’t be disappointed. Happy Christmas!